During Sunday's Grammy Awards, Disney unveiled a new TV teaser for the live-action remake of its classic cartoon, offering a first look at Smith in action as Genie, the role brought to life in the 1992 original by the late Robin Williams. Aladdin then enters the cave to retrieve the lamp, and releases Genie into our view. And I say this as someone who's been an ardent defender of Ritchie's last couple of fun-filled blockbusters. On the plus side, the cast looks good, and I love the colorful and bright costumes and production design. 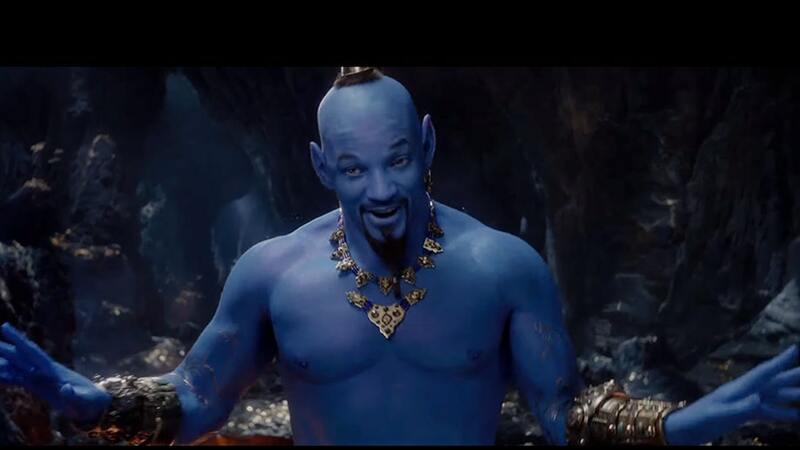 You ain't never had a friend (or nightmare) like Genie Will Smith. Ritchie, meanwhile, told the outlet that he "wanted a muscular 1970s dad" look.